Home Uncategorized New Stampin’ Up! 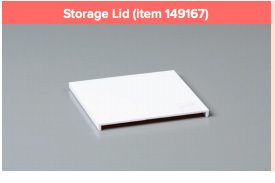 Storage available!! Starting Today Stampin’ Up! 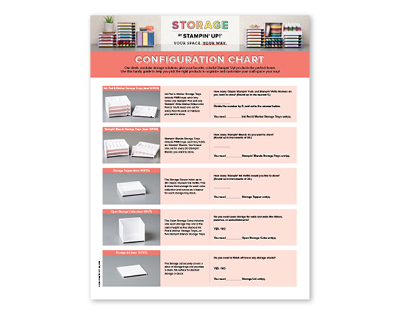 is introducing a new storage option for you crafting supplies! There are 5 pieces that fit together to hold your Stampin’ Up! products. 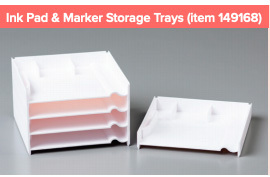 A Cube that is stackable and holds your Ink Pads and corresponding Stampin’ Write Marker. The top of this cube is designed to hold reinkers. A second cube that is designed to hold the Stampin’ Blends markers. This cube has square notches to store the markers flat. 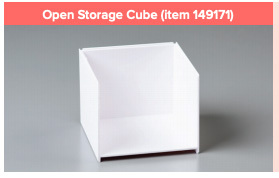 An Open Storage cube that is perfect for holding ribbons and embellishments! 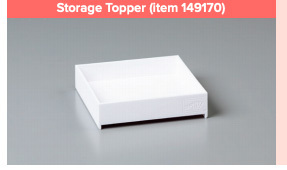 And there is a storage lid so that you can finish off the top of your stack. Here are some answers to a few questions that you might have about these new items! 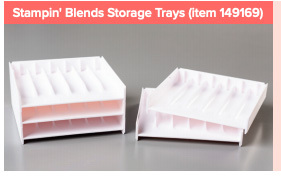 How many Stampin’ Ink Refills can I in the Storage Topper? If you are in the US and would like to place an order. Use the Host Code ZWAPN4Z4 for this month and I will send you a little gift. I always love to share host benefits with loyal customers!